Mr Femi Adesina has criticised those who are saying President Muhammadu Buhari tolerating the attacks carried out by suspected herdsmen in the country. Adesina, the Special Adviser to the President on Media and Publicity, believes such comments are very unfair to President Buhari and his government. “Something that is disturbing that I’ve heard about it is linking those developments (attacks) to the fact that a Fulani man is president and so, he’s (Buhari) brooking such kind of evil act. I think that is very unkind,” he said in a video on social media. The presidential aide recalled that herdsmen attacks have been occurring before his principal took over government and wondered whether such critics were in Nigeria then. According to him, more than 700 persons were allegedly killed by herdsmen before the All Progressives Congress (APC) came into power in 2015. Giving a breakdown of the figures, he said: “In 2013 particularly, there were nine cases of herdsmen invading communities in Benue State alone and more than 190 people were killed. “In 2014, there were about 16 of such tragic developments with more than 231 people killed and then there was a change of government in May 2015. But between January and May 2015, there were six attacks which left about 335 people dead. 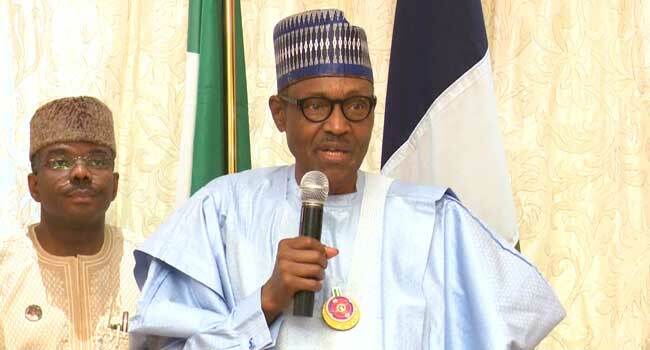 Adesina said it is the duty of government to preserve the lives of the citizen and assured Nigerians that President Buhari’s administration is committed to maintaining law and order. “Therefore, let nobody say all this is happening because we have a Fulani president,” he added. On the steps taken to prevent further attacks, the President’s spokesman said eight people have been arrested for their alleged involvement in the Benue killings and are already before the courts. He also said the killing of the mastermind of the Omoku killings has sent a strong warning to evil doers that the law would surely catch up with them. “News came from the security forces that the man who masterminded the Omoku killings in Rivers State had been killed. He was killed along with some of his other confederates,” Adesina said. “After the killings he had escaped to Enugu in Enugu state but the long hands of the law eventually caught up with him and what this tells us is that eventually, there will be a payday for evildoers.